Do you have kids? And does your home vacillate between being an organised, stylish space, and a chaotic cluttered mess? If you answered yes to either of these questions, then read on for some tips to help you plan a family friendly home. We all remember our parents or grandparents 'formal' living rooms. They were spaces replete with carefully ironed tablecloths, glass display cabinets, porcelain plates hung upon the walls, heavy drapes, and uncomfortable armchairs. As a child, these rooms held some fascination and appeal, most likely stemming from the fact that one was most certainly not allowed within them. They were pristine, vacuumed and preened, and definitely 'not a place for children'. These rooms were a design nightmare, not simply because they required an inordinate amount of attention and cleaning, but because they simply weren't family friendly. Now, just because you have a family doesn't mean you have to forego style and sophistication, nor does it mean you have to live in squalor. Here at homify we love a well-planned home, and today we have some helpful hints that will increase the family friendliness of your abode, without sacrificing a neat and tidy aesthetic. Read on for tips and tricks! First things first we are going to take a look at how you can plan your floorplan to ensure it is family friendly. The floorplan is at the heart of a well-thought out home, and open plan living is the ultimate in accommodating family design. Open plan living means rooms that embrace a flow and movement throughout the different domestic spaces, encouraging light, bright, and airy rooms. 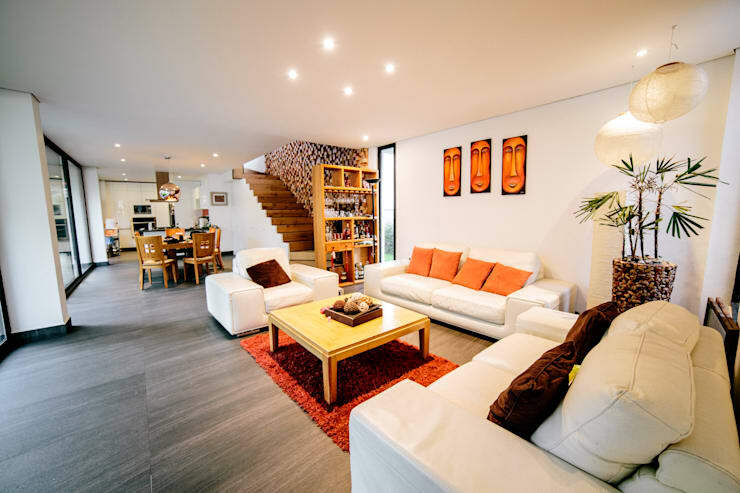 This example is a fabulous illustration of a family friendly open plan living area. The lounge is well-defined with comfortable white sofas. Many individuals would shy away from white as a colour for their seating, but in this case the chairs and sofas are designed in a material that is stain resistant, perfect for busy family areas. At the same time, the seating gives a mature and sophisticated aesthetic, which works well with the bright citrus bursts. The kitchen sits at the rear of the space, and is completely open to the dining area. This is perfect for children to undertake their homework while dad or mum prepares food in the kitchen. The whole room is wall-free, and ensures a sense of continuity throughout the individual living zones. Having a play area for children is extremely important to the success of a family friendly abode. However, it can be tricky knowing where this space should be situated within the home. There are a few options, depending on the way your family lives. Firstly, you may want to include your children in the busiest areas of the dwelling. If this is the case, an outdoor courtyard play area or living room space might be the best option. 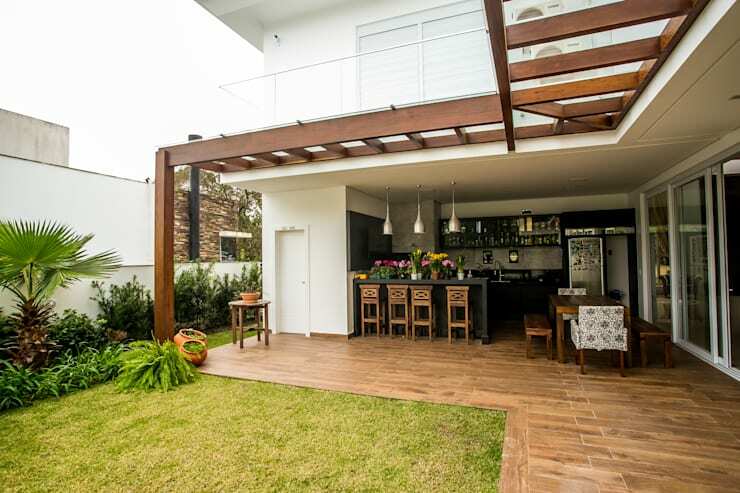 In this example we see a large open plan exterior garden and internal living area. This is perfect for children to play outside during good weather, with space to play inside if it is raining. Alternatively, you may want to create an area solely for your little ones. This might include a separate rumpus room, or retreat. An area they can go that has all of their toys, keeping the main living areas tidy and neat. As much as we may try to keep everything neat and mess free, family inevitably means a certain wear and tear will befall your furniture and accessories. The only real solution to this problem is to purchase items that are durable and sturdy. This doesn't mean uncomfortable, but rather materials that can be easily cleaned and surfaces that will resist damage. Fabrics such as micro suede and even leather can work wonderfully as they are easy to clean and resist stains. Additionally, you will want to make you space comfortable. Choose large floor cushions for children to sit on, as well as a range of throw blankets, rugs, and cushions. Cushion and throws are brilliant as you can take the cover off, or simply put them in the washing machine to freshen up. In order to make you family home friendly and inviting, you might want to consider your choice of art throughout. Now, you will undoubtedly want a selection of more mature pieces in your living areas, but this can be interspersed with some fabulously unique pictures that have been created by your children. 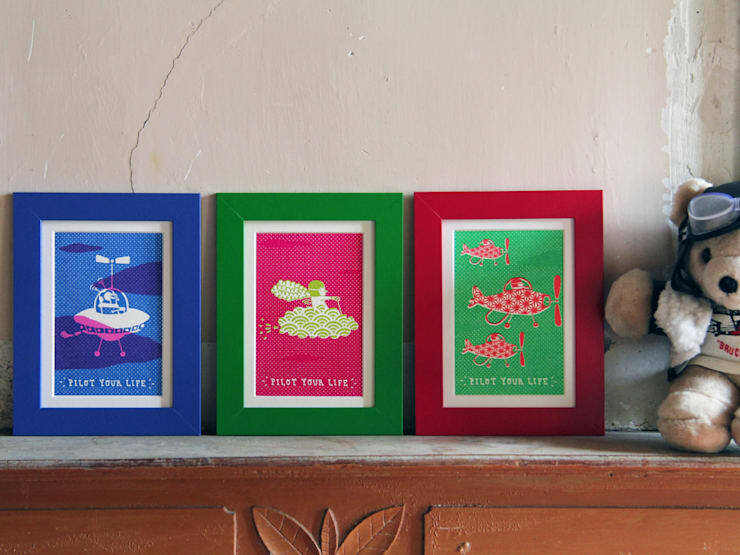 Get creative and frame some of their school projects, or start your own project together. The result is sure to be an original design that you can hang upon your walls. Not only that, additionally your children will feel included within the dwelling, and a sense of pride at having their images within the home. Wall murals have come a long way in previous years, and currently there exists a plethora of different designs and styles that allow you to decorate virtually every inch of your home's interior. Wall murals are a great way to increase the family friendliness of your abode. They are interesting, intriguing, unique, and allow a sense of creativity. Perfect for letting little minds explore and create, a wall mural can bridge the gap between child friendly design, and a more mature approach. Think about whimsical wall stickers, or perhaps written quotes to start conversation and exploration. If you are unsure of where to begin, chat to an interior design professional to gain a little assistance, and some stylish tips or tricks! Books offer more than simply good reading! They are fabulous items to keep within a family friendly home as they encourage creativity, and open up one's world to numerous ideas and possibilities. But how does one get their children to read them? The solution could possibly be displaying them in interesting ways. 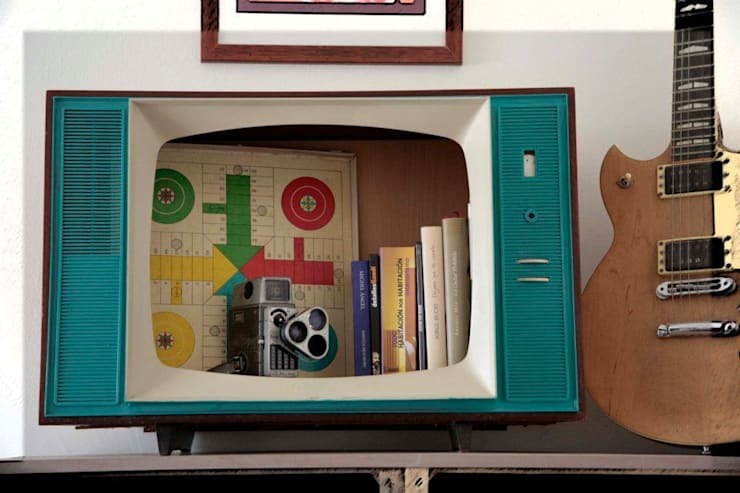 Here in this image we see a collection of interesting bits and pieces that have been stored within a retro television. This is eye catching, and sure to get little ones interested! Invent stylish yet intriguing ways to store and display your books to be sure they get the attention they deserve. Outdoor rugs have come a long way since we first saw that plastic floor covering many years ago. These days they are functional and stylish additions to your home that can be used in a multitude of ways. Not simply a rug for outdoors, these items are actually fabulous inside as well. Choose a interesting design that will coordinate with your colour scheme and chosen ambience. This example is a fabulous illustration that proves outdoor rugs are perfect for the interior of your home. 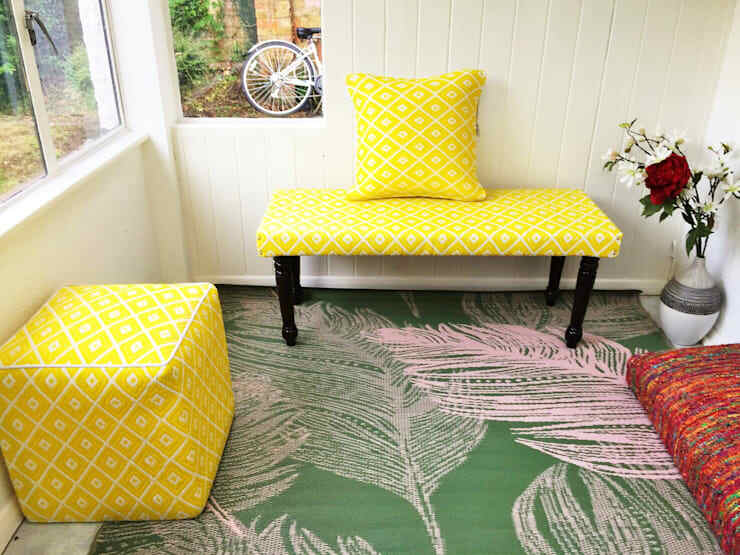 The green leaf print is ideal when matched against the yellow chairs, and looks seamlessly integrated. Not only that, but it is unbelievably easy to clean, and can be hosed down in the garden and left out to dry.